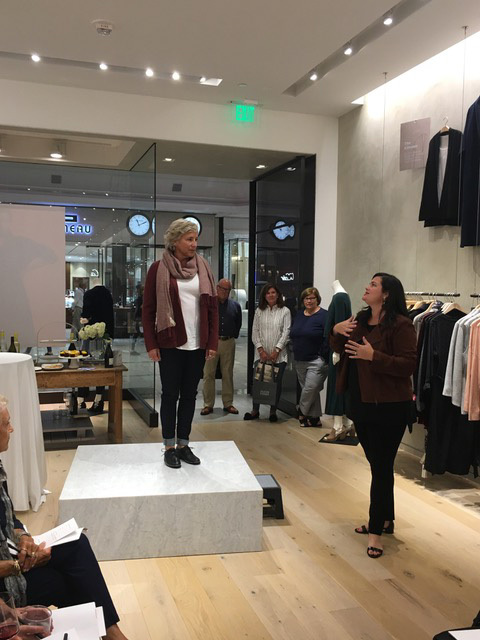 FosterOn was honored to present our vision—a world where every kid who leaves foster care finds at least one person who will be there for them—to a full house at Eileen Fisher Copley at their Fall Stylings Event last night. 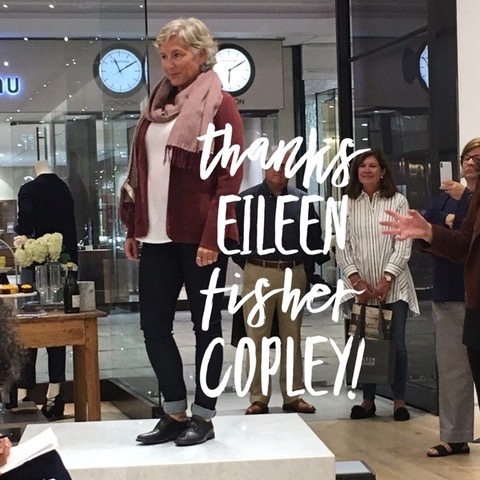 Eileen Fisher has a long history of philanthropy and promoting local women led businesses. We are grateful to have been chosen to participate in this impactful event. Please listen to co-founder Jessica Hall Harrington’s words about the needs of kids aging out of foster care (sound quality is poor so it helps to use headphones) or read the transcript below. “Our mission at FosterOn is that every child who experiences foster care, when they leave foster care, will have at least one person in the world who will care for them. Most people don’t really think about when a child enters foster care they are not just being removed from their home, which may be unsafe or neglectful, but they’re really being moved away from every network they have, relatives, siblings. And, so, if they’re not adopted or they’re not reunited with their birth family, when they turn 18 they have nobody. They’re sort of set loose in the world with no home, no family. And we really just don’t think that’s acceptable. We think we can do better. So our goal is to let everybody know that these kids exist, and that they are valuable, and that they matter. And to really activate people to get involved. So whether that’s volunteering with programs that work with foster kids, become a mentor, become an advocate, maybe look at becoming a foster parent yourself. And we really hope that at some point every kid who leaves foster care has somebody who cares for them. This year in Massachusetts alone 800 kids are going to turn 18 and just have nobody. The rates of homelessness, incarceration, unemployment are staggering. We have some nice little postcards with all the statistics. So take those home, like us on Facebook, and spread the word. Thank you.” Because you are never too old to be loved.